Running a truly elastic Elasticsearch cluster on Docker Swarm is hard. Here's how to get past Elasticsearch and Docker's pitfalls with IP addresses, networking, and more. Running on Elasticsearch on Docker sounds like a natural fit – both technologies promise elasticity. However, running a truly elastic Elasticsearch cluster on Docker Swarm became somewhat difficult with Docker 1.12 Swarm mode. Why? Since Elasticsearch gave up on multicast discovery (by moving multicast node discovery into a plugin and not including it by default) one has to specify IP addresses of all master nodes to join the cluster. Unfortunately, this creates the chicken or the egg problem in the sense that these IP addresses are not actually known in advance when you start Elasticsearch as a Swarm service! It would be easy if we could use the shared Docker bridge or host network and simply specify the Docker host IP addresses, as we are used to it with the “docker run” command. However, “docker service create” rejects the usage of bridge or host network. Thus, the question remains: How can we deploy Elasticsearch in a Docker Swarm cluster? Luckily, using a few tricks it is possible to create an Elasticsearch cluster on Docker Swarm and have it automatically create additional Elasticsearch node on each Docker Swarm node as they join the Swarm cluster! We assume you already have a working Docker Swarm cluster. If not, simply run “docker swarm init” on the master node, and then run docker swarm join on worker nodes. Let’s see how we can resolve these two problems. We use an overlay network (a virtual network between containers, available on all Swarm nodes) with DNS round robin setup. We also specify the Elasticsearch service name “escluster” for the Zen discovery. This means each new Elasticsearch container will ask the “Elasticsearch node” named “escluster” to discover other Elasticsearch nodes. Swarm DNS round robin setup means that each time the IP address returned will be an IP of a different/random Elasticsearch node. Using this trick we enable Elasticesearch nodes to eventually discover all other nodes and form the cluster. This gets us over one hurdle, but it leaves us facing the next Docker networking problem: Docker does not allow outside connections into overlay networks with DNS round robin setup. This is done by design, though some see it as a bug (see Docker SwarmKit issue #1693, which simplifies the network setup in the future). However you see it, this means that while the Elasticsearch cluster is able to find other nodes in the overlay network with DNS round robin trick that solved our original problem, now we are faced with the second problem — it is not possible to connect to port 9200 and talk to Elasticsearch from any other network. This Elasticsearch cluster can be used only from containers that share the overlay network! To solve this issue, we need a proxy service to connect the outside network to our Elasticsearch network. With such a proxy, we can reach the Elasticsearch cluster from the “outside” world. We use jwilder’s wildly popular jwilder/nginx-proxy, which can discover the target service by using VIRTUAL_HOST and VIRTUAL_PORT tags, which we have to set as environment variables in the Elasticsearch Docker Swarm service. Because we had no DNS configured during this setup, we simply used a public wildcard DNS (see xip.io for more info) for the virtual hostname. The following diagram shows how everything is connected. Now that we’ve described the problems and our solutions for them, let’s actually set up Elasticsearch on Docker Swarm. > This node joined a swarm as a worker. 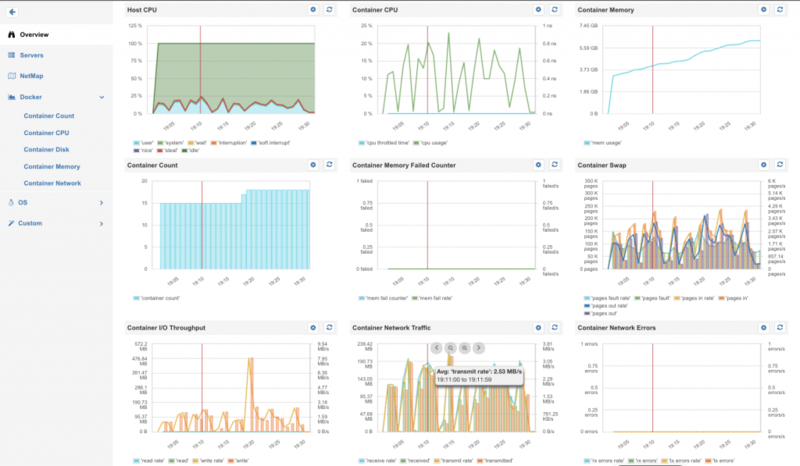 In our little setup, Logagent was able to ship up to 60,000 events per second with up to 150 HTTP sockets to the five-node cluster without indicating any network problem or request rejections from Elasticsearch. 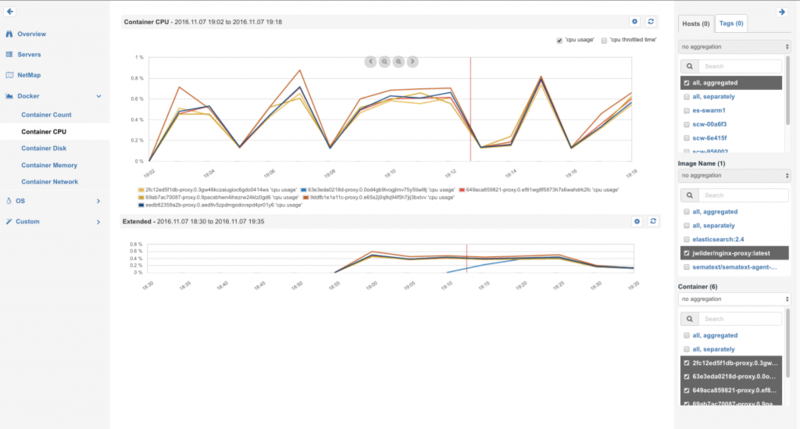 The nginx-proxy did show small CPU spikes at the same time — because it just forwarded the indexing requests from the “elasticsearch-frontend” network to the the “elasticsearch-backend” network, and the load was distributed over all proxy containers. Missing features in Elasticsearch (e.g. removed multicast-discovery since version 2.3) and Docker networking made it challenging to deploy Elasticsearch as a Docker Swarm service. We hope new features in Elasticsearch and Docker will simplify such setups in the future. We demonstrated that there are workarounds to overcome Elasticsearch discovery issues using DNS round robin in the overlay network in Swarm and made the Elasticsearch cluster available to external applications that don’t share the same overlay network. 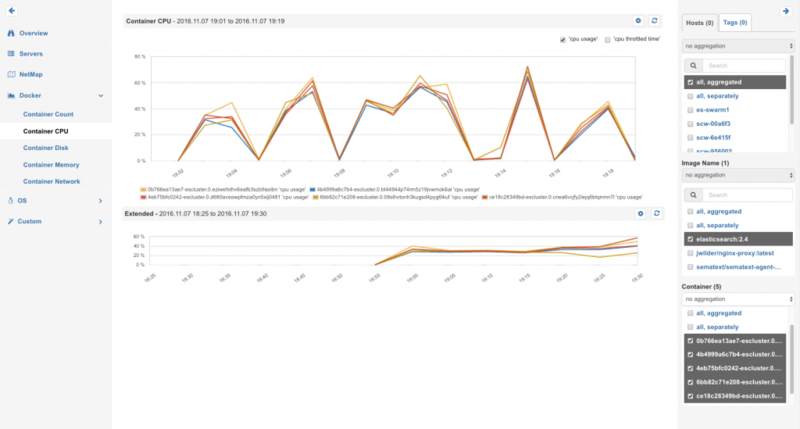 The result is a setup that can scale Elasticsearch automatically with the number of Swarm nodes, while all requests remain balanced across the cluster. Published at DZone with permission of Stefan Thies , DZone MVB. See the original article here.